In Part 1 of our journey below Smithfield we followed in the footsteps of John Bull’s underground wander down the Widened Lines from Barbican. Here in Part 2 we leave him fumbling in the dark and emerge blinking into the light at Farringdon. We will not linger on the surface for long though because, as we have already discovered, the hidden delights lie underground. Scratch the surface, or dive beneath it, and you discover there is much more to the Smithfield area than meets the eye. On this second leg of our journey we thus look at Farringdon then head south towards Snow Hill. As in Part 1, given the likelihood of disorientation in the labyrinthine depths, we hope the various maps and plans will be useful. We also look at both what has been saved from the substantial railway lands at Farringdon and at what has been – or is in danger of being – lost forever. 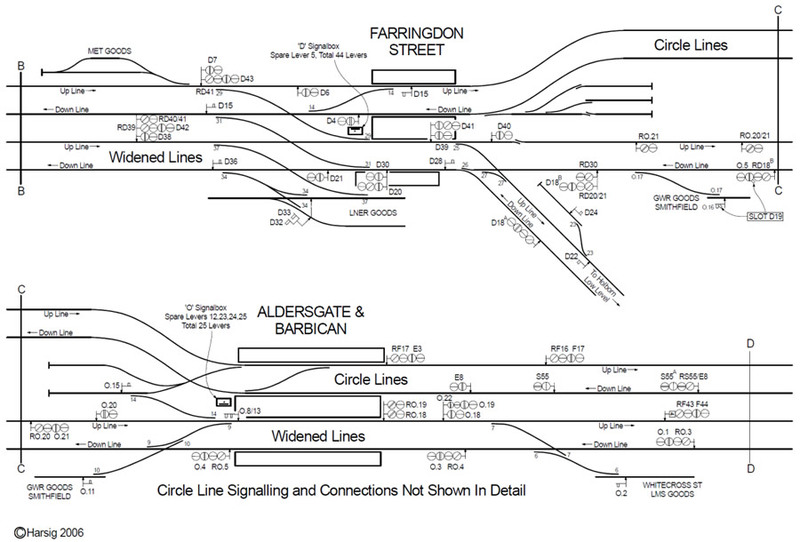 When complete, Farringdon will become a key interchange between Thameslink, Crossrail and London Underground. It is planned that over 140 trains per hour will flow through Farringdon in the peak, on just six platforms. It will become one of Britain’s busiest train stations, and a key link to the business hubs in the City and Canary Wharf. The current Thameslink route, however, is hemmed in with few opportunities to provide additional capacity, and the proposed 24tph service through the core will be challenging to operate, particularly if there are disruptions. With the Smithfield Sidings only able to take 10-car trains in the event of failure or delays, and then only from the south, there are few ‘bolt holes’ through the core. 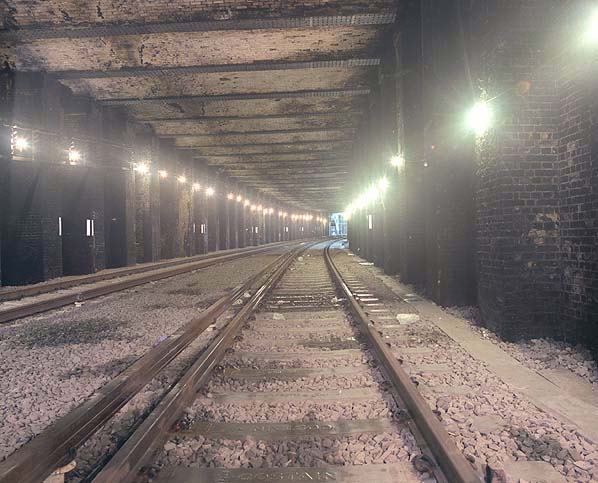 But as we have already seen in Part 1, tunnels lie empty under Smithfield and the ex-Thameslink route to Moorgate is to be relegated to a siding, alongside the overcrowded Met line. Sadly it is a similar story on the route south to Blackfriars, as bit-by-bit the alignment has been lost, and this process is still going on today. Therefore, during our journey through the area’s nether regions, we will seek to learn from opportunities missed, and will ask what potential might still exist to expand Farringdon as a transport hub, and how would the alignments be safeguarded? In this context it is perhaps ironic that Crossrail has engendered a new burst of masterplanning for the area, not least through the Farringdon Urban Design Study, a series of reports produced for a consortium of clients including London Borough of Islington, TfL and Crossrail. The aim was to look at the area overall and outline opportunities for development and public space improvements, give a clearer understanding of what can be achieved over the next 15-20 years and encourage landowners to pursue a coordinated vision for the area. If this masterplanning process had preceded Crossrail, and had there been a clear strategy on safeguarding rail infrastructure, would the outcome have been different? To save you leafing through the archive, back in 2009 Mwmbwls looked at the works for the new station, including the redevelopment of some of the neighbouring office blocks, and we have also covered the new station design here. Starting with the ongoing Crossrail works at the south end of the station, the old Widened Lines alignment to Moorgate is now covered by a temporary ramp up to Charterhouse Street, which JB peeked out at from the tunnel here. 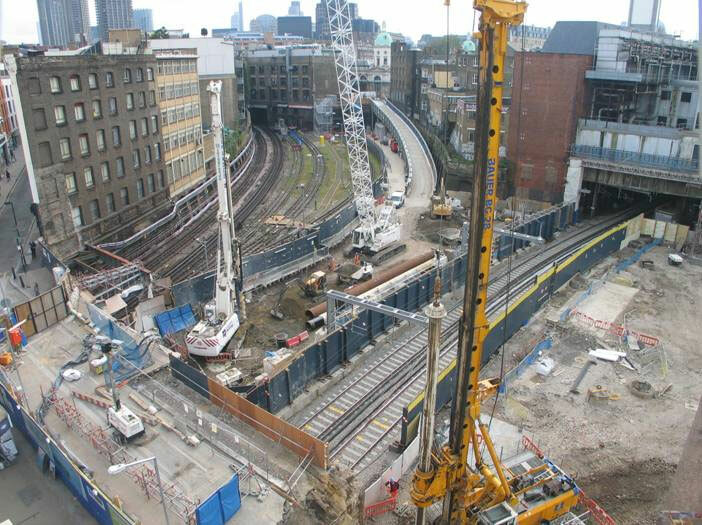 The view in the photo below would be looking across at JB in the distance under the ramp, and is taken early on in the construction of the extended Thameslink platforms. On our subterranean quest perhaps the most interesting areas are on the right, which used to be underground and part of the old Great Northern (GN) goods depot. And on the far right where the Thameslink lines disappear are the buffers of the Smithfield Sidings. More on these later. 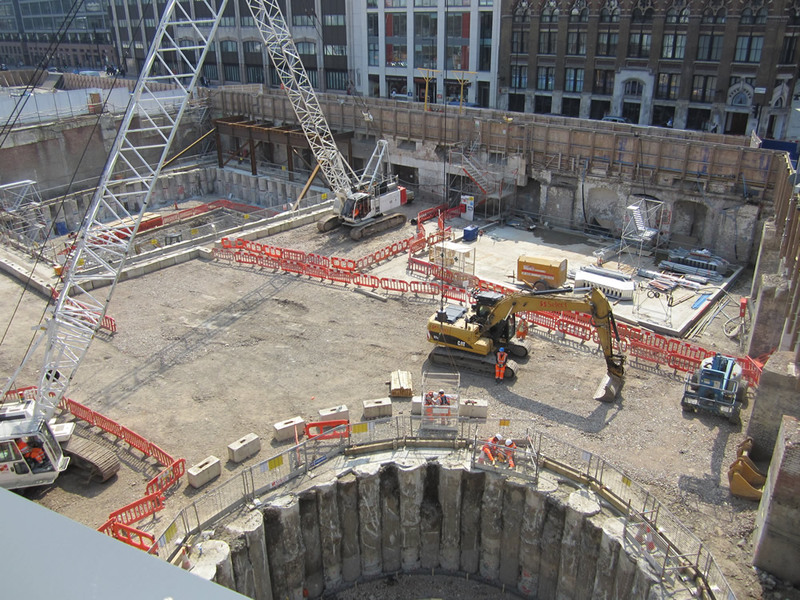 Swing to the right and the view today is shown below – the new Crossrail station site. 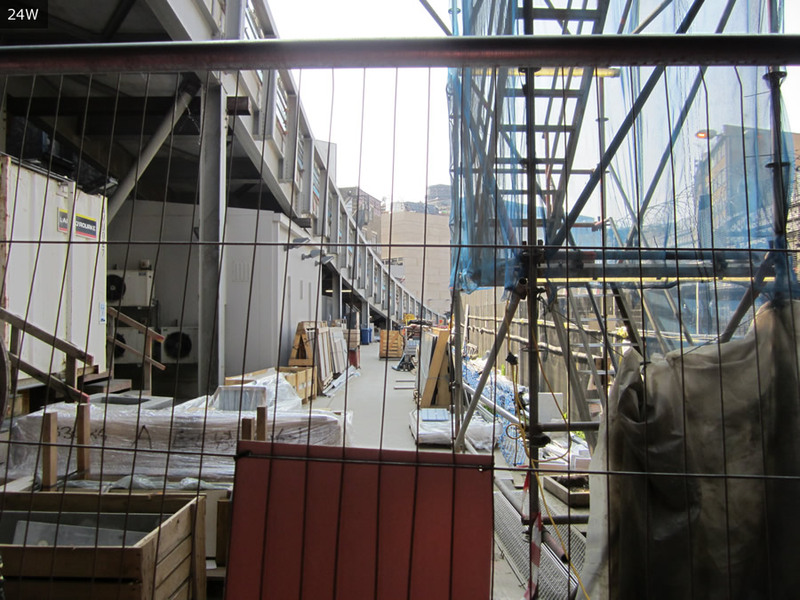 Farringdon Street is in the background behind the hoardings, Cowcross Street is on the right. 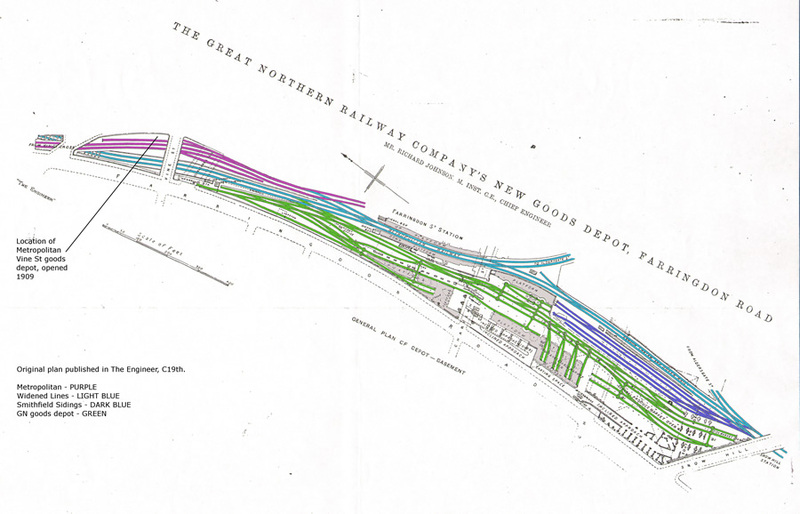 What most people would not know is that goods sidings used to emerge between the brick columns on the right and run across the site, part of the extensive GN Goods depot and shown on the plan below. The GN Goods depot opened in 1874, with GN traffic accessing the Widened Lines via the Hotel Curve and York Road Curve at Kings Cross. 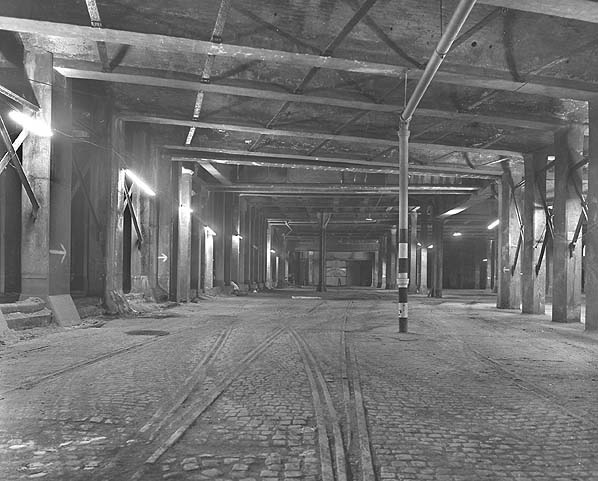 The depot was renowned as a dark and difficult place to work, with trains briefly emerging into the light under the Ray Street ‘Gridiron’ before climbing steeply and clanking into the arrival road and cramped warehouse. 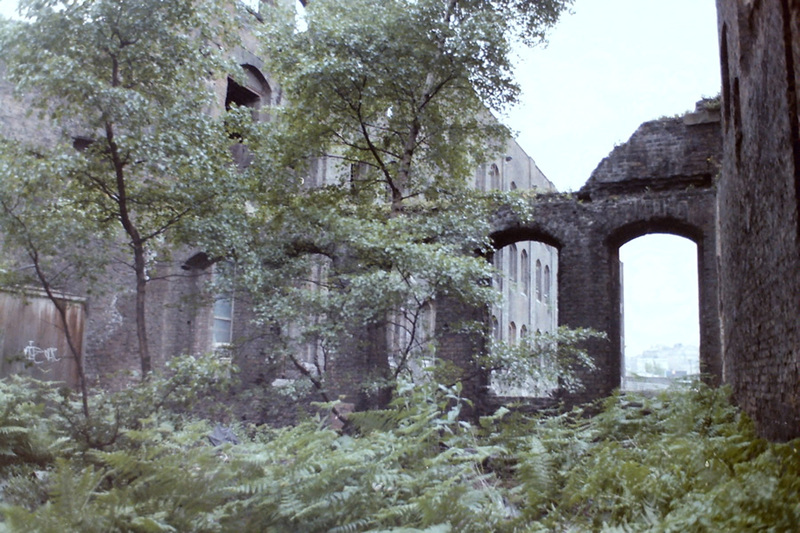 The depot was closed by British Railways in 1956 after being severely damaged in WW2 and, after standing derelict for years, was eventually demolished in October 1988. The basement plan of the GN goods depot (below) emphasises the scale of the underground sidings compared to the space occupied by the station itself. Mwmbwls’ piece back in March on the Angle and Wangle at Farringdon described the challenge of shoehorning twelve-car platforms into a cramped 8-car station. The irony will not be lost on long-serving rail planners who knew how substantial the railway complex was up until the 1970s. The extent of the old GN goods depot can also be appreciated from the aerial photo we brought you back in April (below). The GN depot stretched from the top of the photo and along the west (left) side of the station, through the Crossrail station site and then beneath the Smithfield General Market as far as Snow Hill, which is the road just to the right of the tower crane in the bottom left of the photo. Just to emphasise: this was all railway land, in the centre of London, alongside an existing busy station, now mostly lost to development. With Farringdon fast becoming a major station and a key hub in the rail network, it is tempting to consider what the station could look like today if the depot site had been safeguarded and converted to platforms, for intensive services along a four-track route up from Blackfriars, and perhaps even extended beyond Farringdon in a new tunnelled route north. Alas a drab office block filled the space left by the GN depot, which looms large in this recent Mwmbwls photo (below), looking south with the Met lines on the left and Thameslink on the right. Mwmbwls is standing on the Clerkenwell Road bridge, and next time he is there we’ll ask him to look left and around the corner on Farringdon Lane and explore the other Farringdon goods, at the other end of the scale in capacity: the Metropolitan Vine Street depot at the northern end of the station. 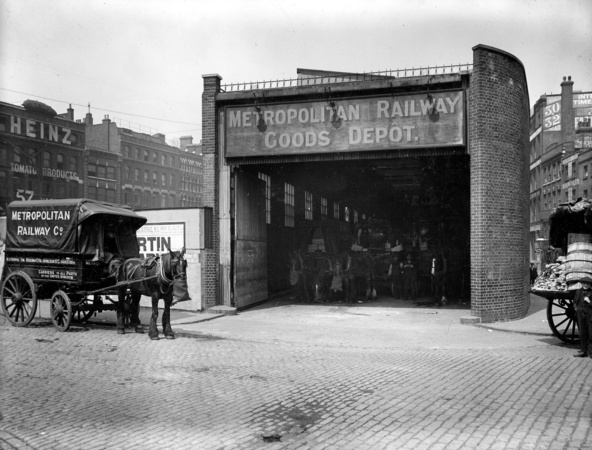 The Met opened this depot in 1909 with two sidings each seven wagons long and a regular service from West Hampstead. Trains were electrically hauled with a maximum length of 14 wagons, but despite this the depot was very busy, handling over 25,500t in 1915 and operated at over-capacity until the late-1920s. The depot building is still there, now a bleak cladded box, open at track level, with little indication of its current use. Time to return underground and we now head south towards Snow Hill. Looking again at the basement plan of the GN goods depot above, the Smithfield Sidings lie at the southern end, leading off the Thameslink route at Snow Hill. The buffer end of the sidings is now at the southern extremity of the newly-lengthened Thameslink platforms. The signalling diagram below shows the junction at Snow Hill, which is also where the Smithfield Curve east towards Moorgate branched off. The Smithfield Curve was closed in 1927 and therefore is not shown on this 1941 diagram. The diagram also omits the extensive GN tracks alongside because there was no physical connection, although today the space remains open across the entire width. Only two of the Smithfield Sidings remain now, retained for use by any northbound Thameslink trains that fail the AC-DC changeover at City Thameslink. But, given that the sidings are 8-car length, from 2018 they will be of limited use with the new intensive Thameslink timetable using 12-car trains. We are reminded of the extent of the GN depot by the photo below. 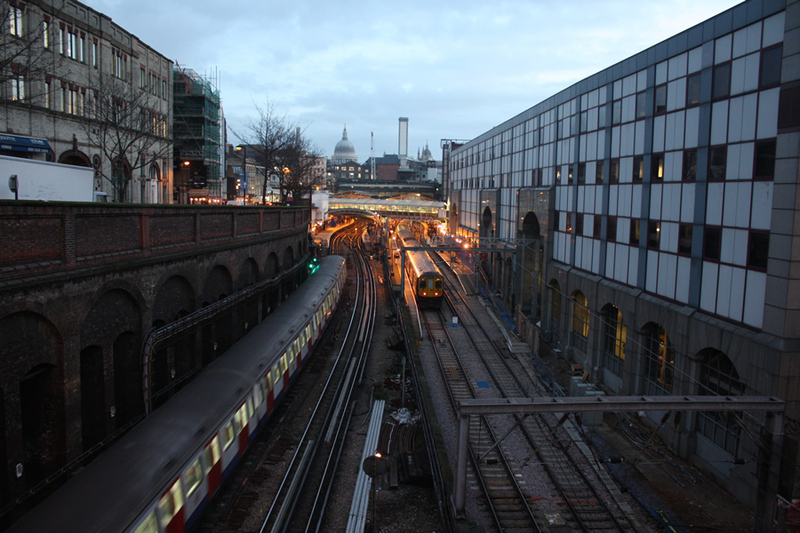 Taken below Charterhouse Street and looking south, the Smithfield Sidings are to the left of the pillars and beyond that the Thameslink tracks. At this point the railway alignment had eleven tracks, with room to spare. 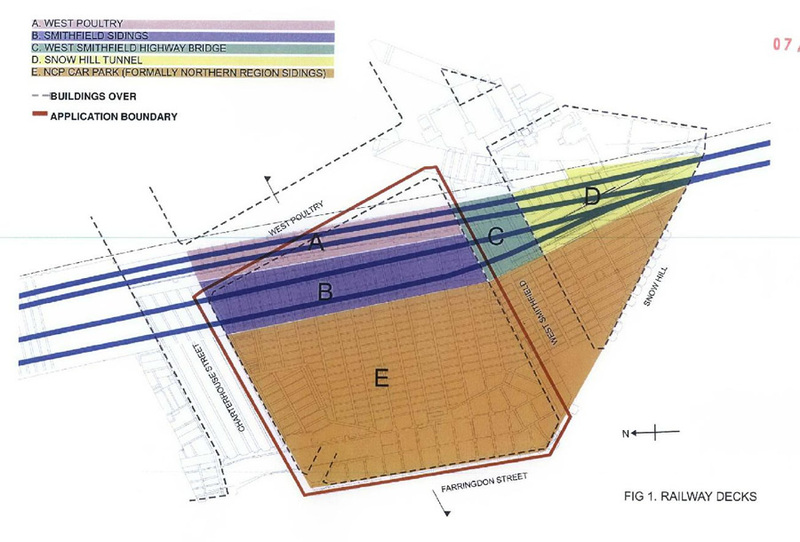 The extent of the alignment is shown in the plan below, taken from the planning permission documents that sought to demolish the Smithfield General Market that lay above… more on this later. Snow Hill Junction is in the yellow section “D” and the platforms of Snow Hill station lay just south of this. “E” is the southern end of the GN goods depot, and “A” is the Thameslink line north to Farringdon. It is clear from this, and the plan of the GN goods depot above, that a large rail space fans out from the bottleneck at Snow Hill. Also faintly visible in the background of the plan above at “D” is the stump of the Smithfield Curve east from Snow Hill. We covered the Smithfield Curve in Part 1, and the remains of this section of tunnel are now part of the basement of the Document Store building, now disused. The site of Snow Hill junction is shown in the photo below. 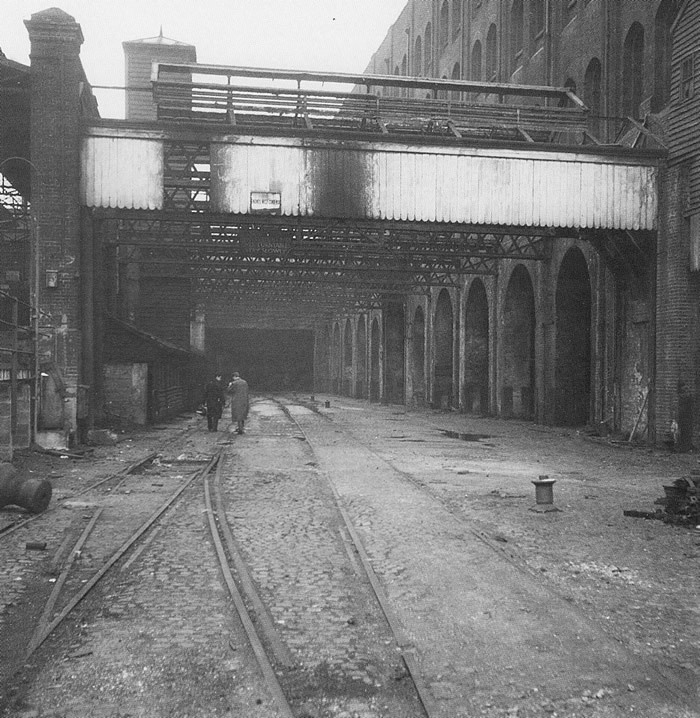 This is a view south onto the disused Snow Hill (Holborn Viaduct Low Level) platforms, the photographer is standing on the alignment of the Smithfield Sidings, and to the right is the southern end of the GN depot, now used as a City of London salt store. The Smithfield Curve diverged east on the left side and the portal is walled up. Below is the view north along the Thameslink lines roughly where “A” is marked on the plan above. The view is towards Farringdon, the faint spot of daylight in the distance. The Smithfield Sidings are the other side of the pillars to the left and the GN depot tracks are the other side of that. 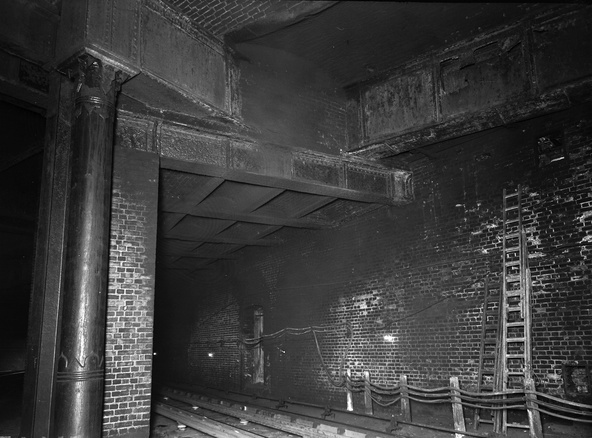 As an aside, that distant tunnel mouth at Farringdon is seen in the mid-20th century photo below, looking north towards Farringdon platforms. The little siding was where a banking engine resided to help push goods trains up the steep incline to Ludgate Hill Station. 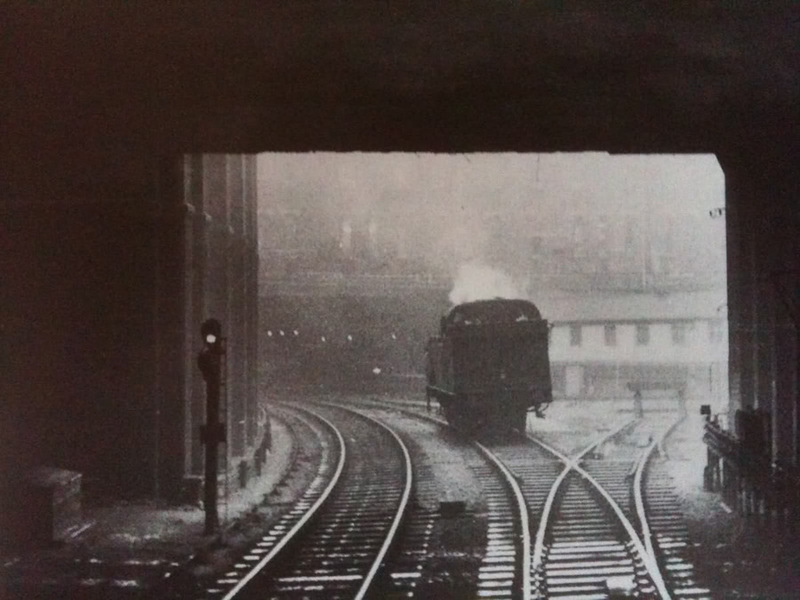 In the wonderfully atmospheric photo below, the banking engine is about to couple onto the rear of the train from which the photo is taken. With little prospect of these fine buildings being saved, it seemed important to document them before they disappear forever. 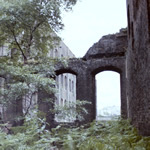 As the outrage over the proposed demolition grew and became more focused, organisations such as English Heritage and SAVE Britain’s Heritage ultimately took up the cause, and the case eventually went to a Public Inquiry in 2007. The Inquiry final report recommended against the development and in August 2008 Hazel Blears, the Secretary of State for Local Government and Communities, announced that she upheld the inspector’s decision and that the buildings should not be demolished. In other words, it is the responsibility of the owners to keep the structures in a fit state, and allowing them to fall into disrepair is not a justification for demolition and redevelopment. 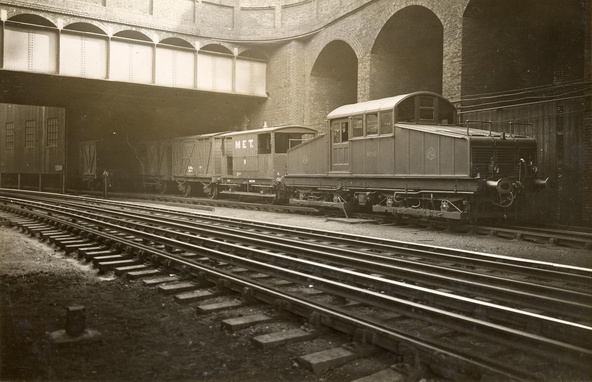 The City of London is the owner of most of the railway tunnels around Smithfield, and has responsibility for their upkeep. Its Plan A for the Smithfield General Market is clearly flawed, but there doesn’t appear to be much of a Plan B. 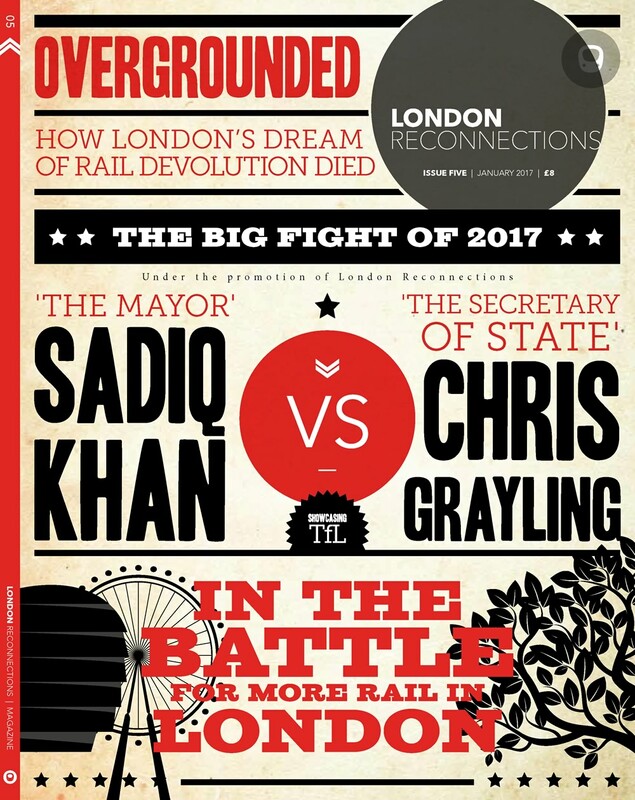 We have already seen in Part 1 how a spat may be brewing between the City of London and LUL over the ex-Widened Lines tunnels from Farringdon to Moorgate. Does this indicate a more hardline view of its responsibilities for rail infrastructure maintenance? And if so, what should Network Rail’s strategy be? This must also be of interest to TfL, not only because of its responsibility for LUL, but also if its ambitions for taking over franchises extend to the Thameslink route. 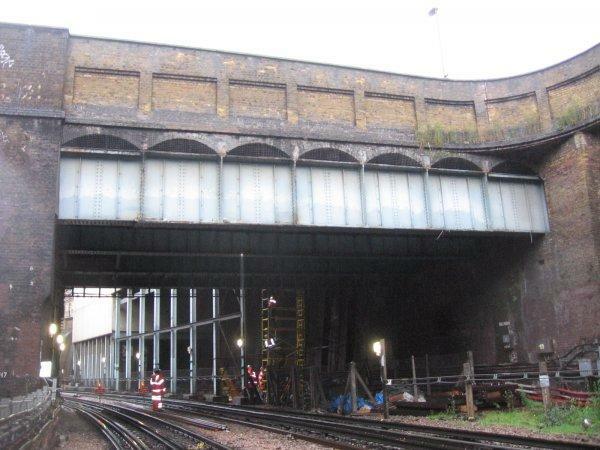 For example, if it was discovered that major structural repairs were required in the tunnels around Smithfield and that these resulted in major and prolonged service disruptions to Thameslink, who makes the decisions and who picks up the bill? It is clear that the railway estate in and around Farringdon was once very substantial, but that bit-by-bit this infrastructure has been lost. Every parcel of land that is lost means it becomes harder to justify the safeguarding of remnants along the route. Our recent brief history of sidings discusses how important these facilities are operationally, not least in building resilience into the system. 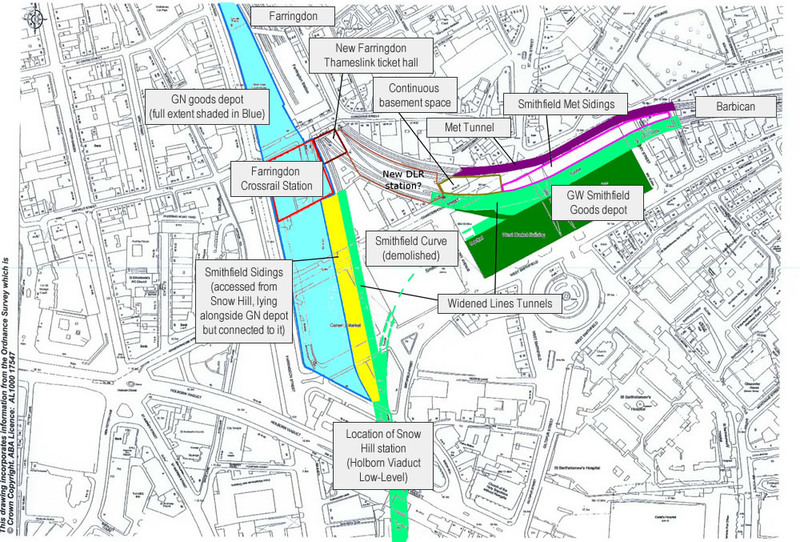 So how, and where, should TfL be safeguarding rail infrastructure in the Farringdon/Smithfield area? We will see this being played out next with the planned redevelopment of Ludgate House on the south side of Blackfriars Bridge, which we will cover in a future piece. 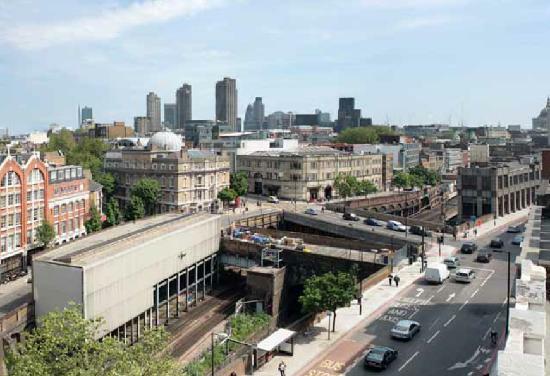 This redevelopment is an opportunity to recreate the alignment for tracks onto the west piers of Blackfriars Bridge, and provide additional bay platforms for Elephant & Castle trains. But it will take a concerted and strategic approach by the rail planners to achieve it. Without this, the safeguarding opportunity is lost for perhaps another 50 years. 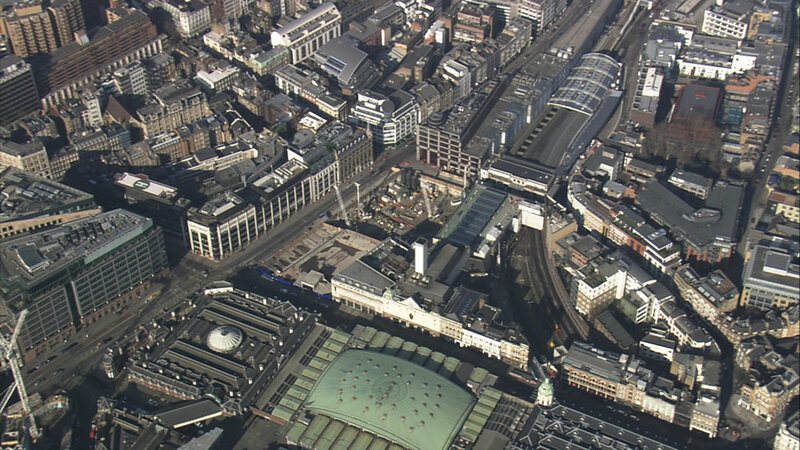 Looking again at the City of London’s proposed redevelopment at Smithfield General Market, should Network Rail (or TfL or the TOC) have proposed that a six-track alignment be preserved, allowing for future expansion to four tracks through Farringdon plus the Smithfield Sidings? 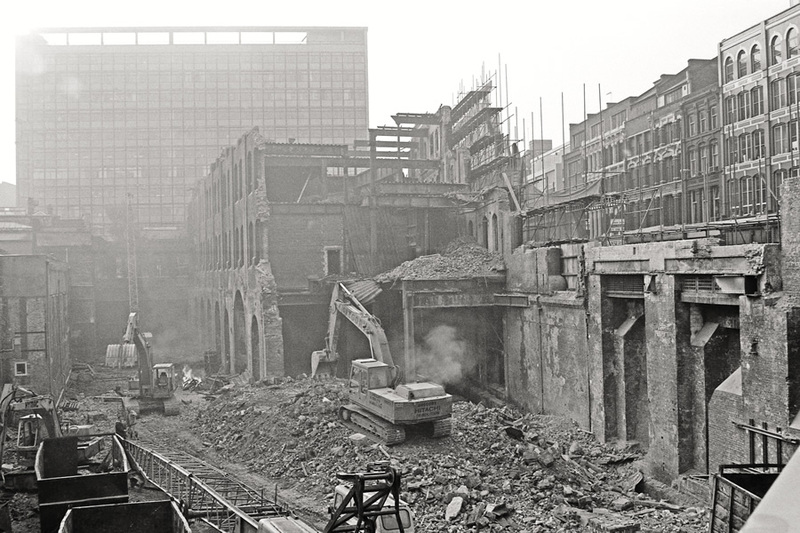 South of Snow Hill was the expanse of Holborn Viaduct and then a four track alignment through to Blackfriars and beyond. If the City Thameslink redevelopment had provided a four-track box, then the planned Blackfriars bay terminating services from the Elephant & Castle route would have been able to extend to Farringdon (and possibly beyond), where it could have used the plentiful below-ground space afforded by the GN goods depot. 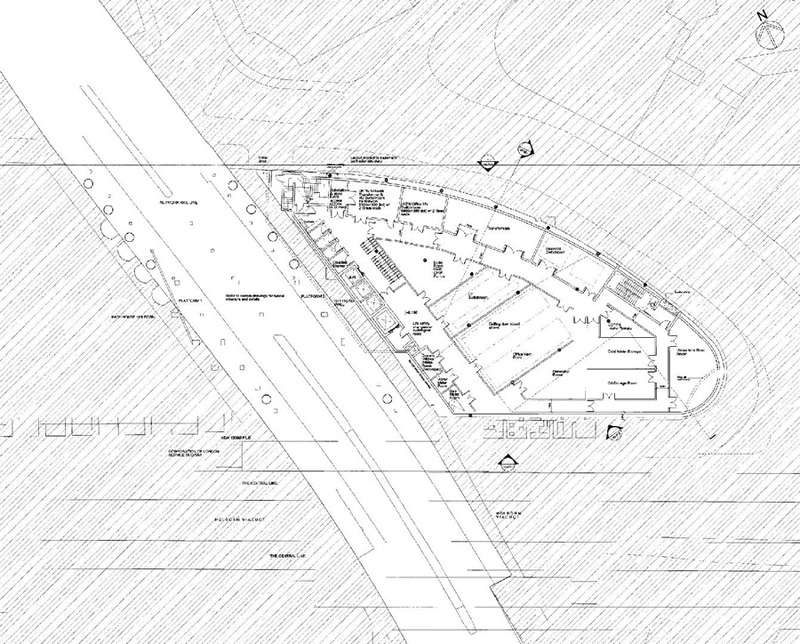 As recently as May 16th 2012 planning permission was given for the redevelopment of the office block over Snow Hill station where, although the line was two tracks, the alignment had the further width of the platforms so could have provided four tracks. Alas the redevelopment plan shows that the new building will be supported on pillars along the site of the old Snow Hill platforms. Another opportunity missed. 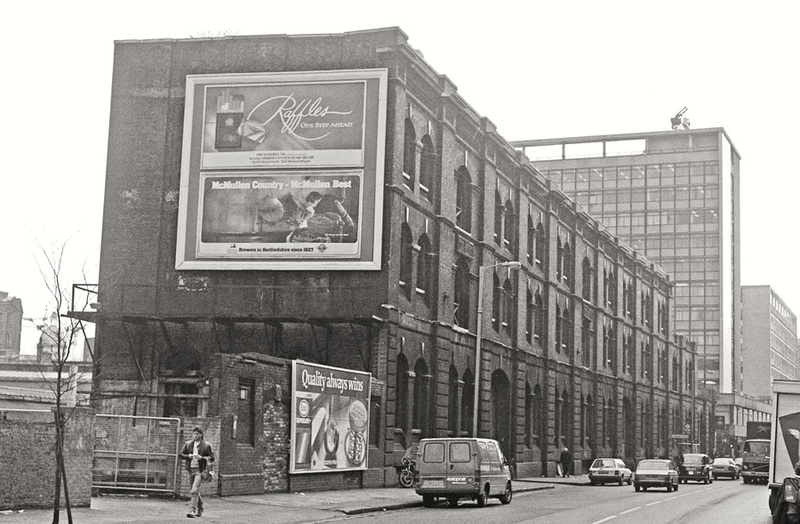 So, what can we learn from the rich rail history in the Farringdon and Smithfield area? Much has been lost, although a considerable amount of Railway land (and thus opportunites) remain. Some of that substantial rail legacy, however, is still being eroded or lying empty awaiting a use. How may it have looked given some foresight and a clear strategy on safeguarding? It’s a question to which there is no easy answer. Sadly – although perhaps not unsurprisingly – that’s a question that is not confined to Farringdon. Indeed it’s a theme we will return to a little further down the line (both temporally and physically) in a look at the proposed redevelopment of Ludgate House at the south end of Blackfriars. It’s a site which raises very similar issues, and may become another opportunity lost. 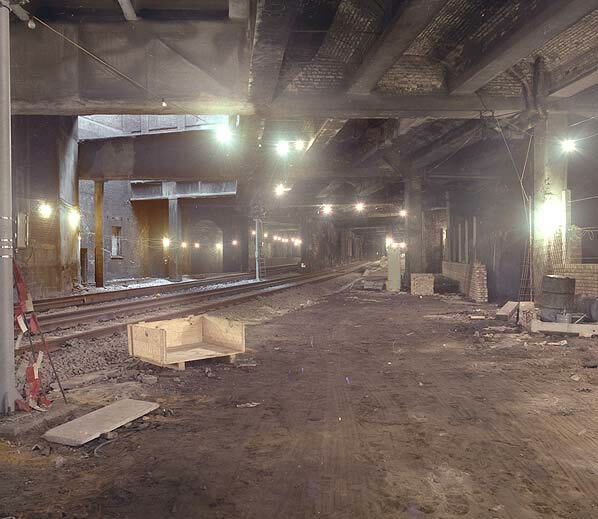 We explored the 1866 tunnels under Smithfield Market in the late 1960s (1968 – 1970 ? ), the Winkle was soon to be converted into a Car Park Ramp I think. We found 7 ft broad gauge and mixed gauge track under the Market and near the Snow Hill Tunnels. I’m sure we found an old Lime Pit that was shown on our old map as being left over from an old jail/prison down there. There was an old Signal Box by a junction at the bottom of the incline up to the River Thames Bridge, and an old office had several leather jerkins that crumbled into dust as we climbed in. 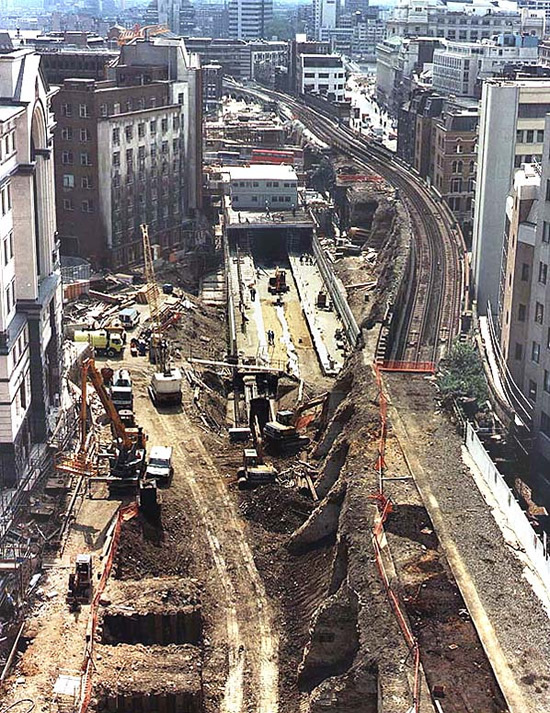 We used to get in over a Farringdon Road wall, and through a water/sewer pumping station. I just wish we had taken cameras with us, and it is so interesting to read about your later explorations.